Blue Bell announces their newest flavor of ice cream: Camo 'n Cream. The frozen treat combines cream cheese, pistachio almond and milk chocolate ice creams into a camouflage pattern. Blue Bell combined ice cream and camouflage with their latest concoction. 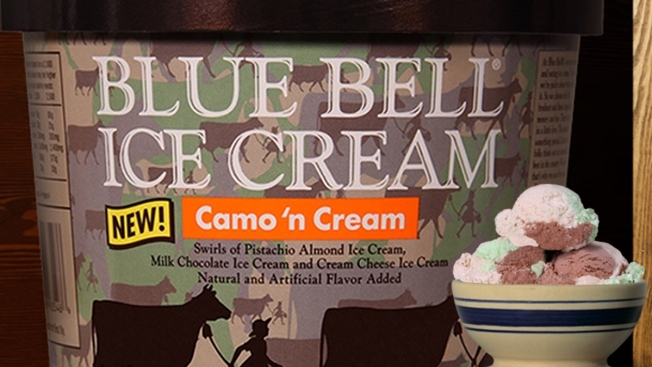 The Texas-based ice cream company announced their newest flavor, Camo 'n Cream, Thursday. Camo 'n Cream features a medley of cream cheese, pistachio almond and milk chocolate ice creams in a camouflage. "We are having a little fun with this flavor," Blue Bell marketing director Carl Breed said. 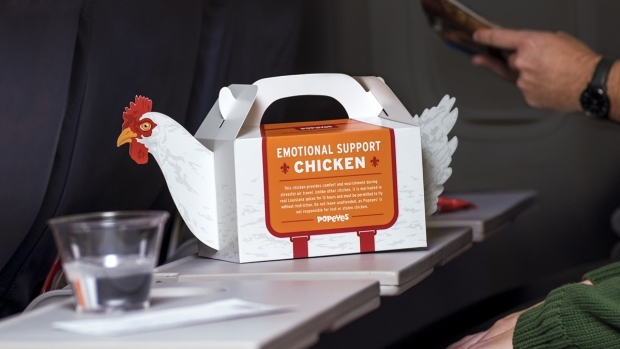 "We tried a few different combinations, but chose these flavors because they complement each other so well. The camouflage-designed cartons, designed from the Blue Bell cow and girl logo, arrives in stores Thursday. "You see the camo design on everything these days, so we thought why not create an ice cream flavor that looks camouflage?